Smurfs | Sizzle: When The Media Sizzles, You'll Find It Here! 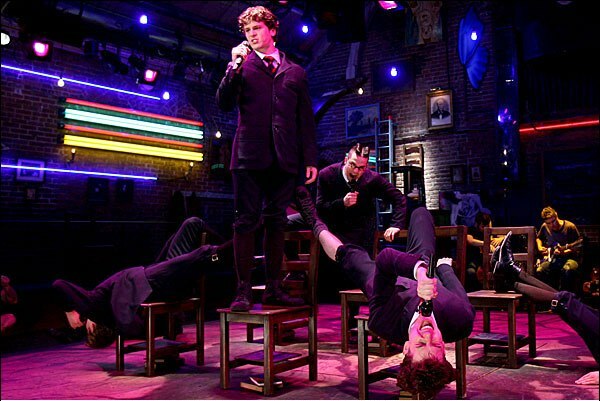 Spring Awakening: First RENT closes, and now this? We don’t think we can handle much more. And for the record, we’re totally blaming this on 90210. Smurfs: The blue guys first made their debut a whopping 50 years ago. And they’re not done yet. Expect a full-length movie and a new TV series. Also expect “girl empowerment,” whatever that means. Elisabeth Hasselbeck: The View co-host is going on the campaign trail for McCain and Palin. We’re sure the show will get at least a week’s worth of hot topics out of this–and we don’t mind one bit! 90210: AnnLynne McCord (Naomi) says it’s really stressful working long hours and getting up early. We don’t feel bad for you AT ALL. Bono: The next great journalist? May be considering he now has a gig writing op-ed columns in The New York Times. Good for his fame or all just because of his fame? Solange: After she told us over the summer that she didn’t want to be compared to big sis Beyonce, the two will likely tour together. Makes no sense. And don’t even get us started on B’s Sasha Fierce crap. Macauly Culkin: Will star in a mid-season NBC comedy. We didn’t even know he was still in the biz. STILL SIZZLING: Which singer insisted yesterday that there’s no feud between her and a certain star–even though they share a common flame?